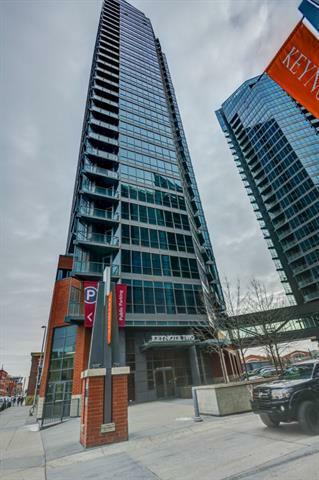 Amazing views from this one bedroom, one bath condo located on the 25th floor of KeyNote 2. Finishing include granite counter tops, 9 foot ceilings, hardwood flooring, ceramic tiles. 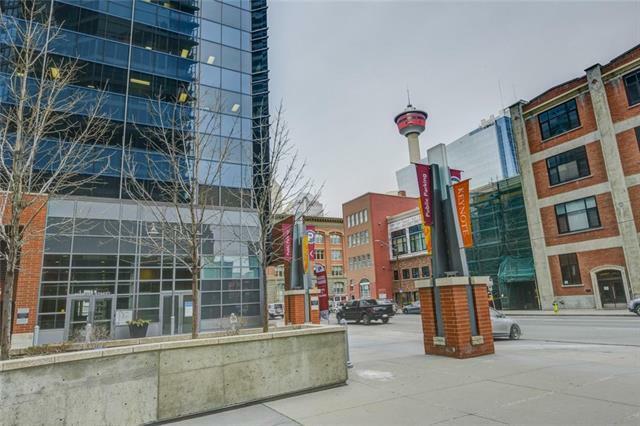 convenient en suite laundry, and stainless steel appliances to go along with the unobstructed spectacular views of the Saddledome, mountains and downtown skyline. 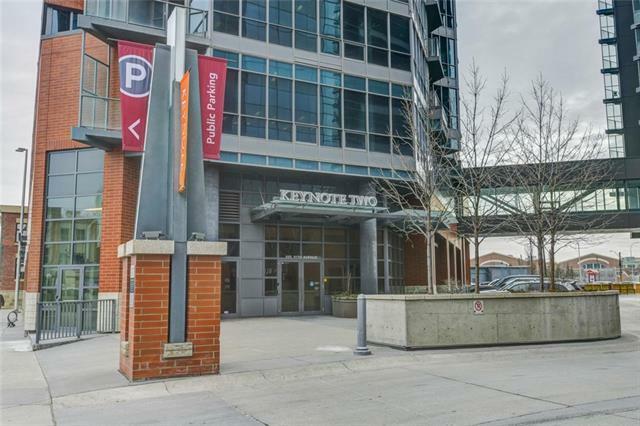 This unit is air conditioned, storage unit, bike storage and comes with the best stall in the parkade. 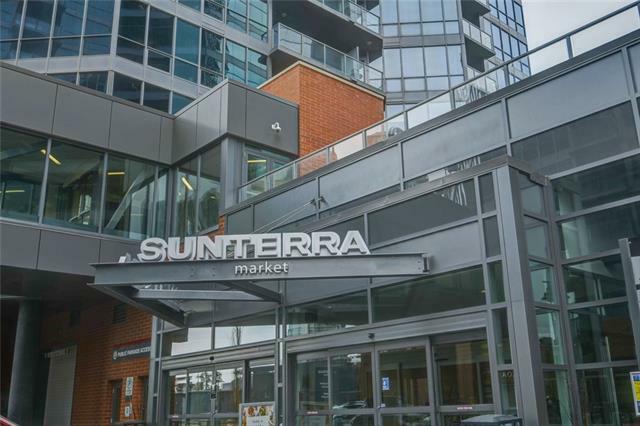 This building has close and easy access to all amenities including +15 access to Sunterra, high end gym, steam room, hot tub, owners lounge and guest suites.Welcome Home!